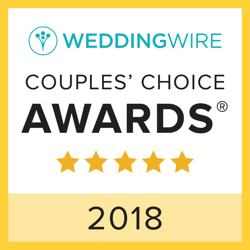 Imagine the most amazing wedding ceremony you can think of – one that represents your partnership in every way, and is created with a process that deepens your relationship and strengthens your bond as a couple. It's easy to forget amidst all the hub-bub of preparing for a wedding, but the ceremony is actually the most important part of the whole day! My expertise is to get to know the two of you well, and to write the ceremony that tells your love story in the way that truly fits your style, so that at the end of the day you say to yourselves, "That is exactly what we wanted to experience." This looks different for every couple, and that's the joy of this process - getting to know you, discovering who the two of you are, and writing your ceremony so that it reflects you in every moment and in every little detail. The process of creating this kind of ceremony also deepens your relationship as you share your stories with me, and by the time we stand together for the big day, I'll feel familiar to you, like meeting up with a new friend. To put it in a nutshell, a fully customized ceremony is really the ceremony of your dreams, and I love making that happen! Complimentary phone or in-person chat: Let’s meet on the phone or in person to get to know each other and envision what we'll create. We’ll talk about the kind of ceremony you'd like to have, your spiritual or non-spiritual preferences, and the overall style and “vibe” of it. I bring lots of ideas, and we’ll explore the many choices for ceremony elements that you might like to include. This is a fun, creative session, and will also help you decide if you'd like to work with me. • Custom Ceremony Creation: This is where it gets really good! Once you decide to work with me, we meet to explore who you are individually, who you are together, what you envision for your shared life, and your spiritual or non-spiritual style. We might decide to have an over-arching theme for your wedding, add in readings or songs, have me tell your love story, give friends or family roles in your ceremony. We might also add in something like a rose ceremony or blessing bowl or hand fasting or wishing stones - just a few of many meaningful rituals to choose from in my big collection of ceremony ideas. Or, you might feel your style is to keep it very, very simple. We'll determine all of that together in our ceremony creation meeting and create the ceremony that has you saying at the end of your wedding day, "That was exactly what we wanted!" • Vow-Writing Kit: My vow-writing kit gives you examples of vows to choose from, or if you want to write your own vows from scratch, it guides you step-by-step to write them authentically and from your heart. • Officiation: I officiate your ceremony, with arrival one hour before your ceremony to help with any processional and ceremony details, and to generally be present as a support. • Extra perk: Once I work with a couple, I consider myself available as your "family minister". This means that Igive you ongoing no-charge access to my weekly office hours for spiritual support by phone should you ever need it (more on my office hours and spiritual support here). I will also know you well, so you can have me officiatehome blessings, baby blessings, and any other spiritually meaningful life passages in the years to come. Officiating at Garden of the Gods in Colorado Springs. Rachel Havel Photography. • More perks: I love to help my couples feel more calm and relaxed before the big event. If you want, I will do a pre-ceremony meditation with you that helps you stay focused on what matters most - your love. I can also help with strategies for the days before the wedding to keep from getting emotionally bounced around by the many external forces (family, logistics, etc). I offer this at no extra charge for all of my custom ceremony couples, if this is a kind of support that you would like. You can visit my Photo Stories page here to see slideshow stories of wedding ceremonies that I've officiated, from start to finish. It's a great way to see exactly what happens during a wedding ceremony and to get a sense of my style too! When it comes down to it, your ceremony is the wedding, and my commitment is to ensure that it is the most meaningful and fabulous experience you can have. Couples who work with me usually value the ceremony as the most important part of their wedding. All of the other stuff is of course important and fun, but when you get right down to it, the moment I'm standing up there with you, your vows made, your rings exchanged, and you're looking deeply into each others' eyes as I pronounce you married - THAT is what it's all about! The meaning that we create during the ceremony, the story that we share about the two of you and the special little rituals that we do that fit your personality as a couple - that is what makes your ceremony a peak moment in your relationship that you'll remember and cherish for the rest of your lives. My ceremony fees reflect the fact that I put many hours of time and thought into the creation of a custom ceremony, and that ministry & officiation are my full-time occupation so when you sign on as one of my couples, you have my full focus. $975 is my standard charge for a custom ceremony as described in the "custom ceremonies" section above - this fee covers everything that you want for your ceremony - from customized ceremonies that are short & simple, to those that are as elaborate as you like. If you are eloping (rather than full ceremony), elopements with basic personalization are $625, plus you can also explore my special elopements packages on this page here. Whether we do your rehearsal on the day of the wedding or on a separate day can also add to the fee, and if your wedding site is farther than 40 miles from my Boulder, CO home, then that can add a travel charge. As you can see, there are some different variables, so when we talk, I'll give you a clear quote for the ceremony package that is just right for you. To chat about your ceremony, you can contact me at 303-842-4321 or fill out the form below to send a message. After that, we'll talk on the phone or meet in person to begin envisioning and see if we're a fit. Looking forward to getting to know you!